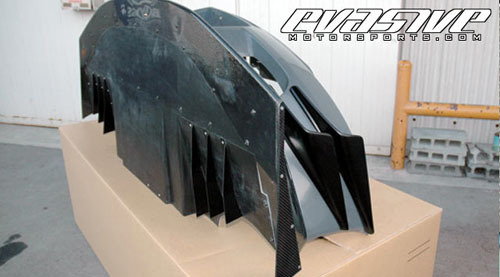 We just found out that our good friends at Evasive are distributing Voltex aero components. Voltex makes some of the most aggressive aero enhancements and wings we’ve ever seen and most are used by a number of Time Attack kings. Many of the kits are offered in street and full track versions. They are simply crazy and just awesome to look at. 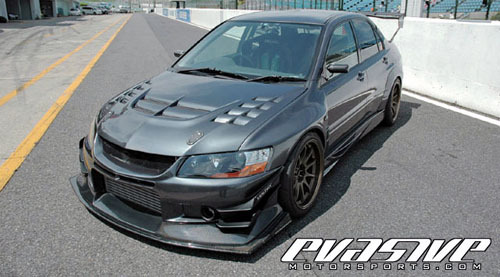 Check out the Cyber front bumper (street edition) for the Lancer Evo VIII/IX. Doesn’t it look wicked? I’d also rock the widebody arches and rear bumper diffuser and of course don’t forget those front canards! Find out more at Evasive Motorsport. ← New King of the Ring?